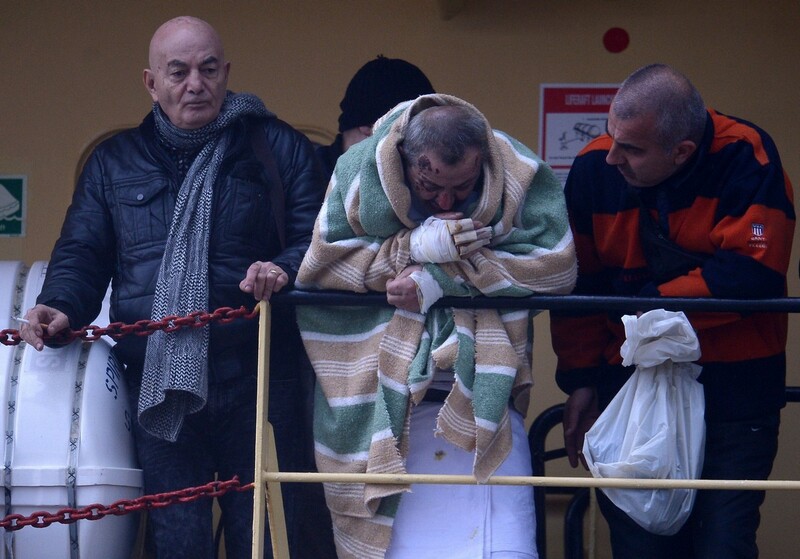 A man and his daughter, rescued from Norman Atlantic ferry, disembark from Greek Airforce C-130 military cargo aircraft at Elefsina military airport near Athens. 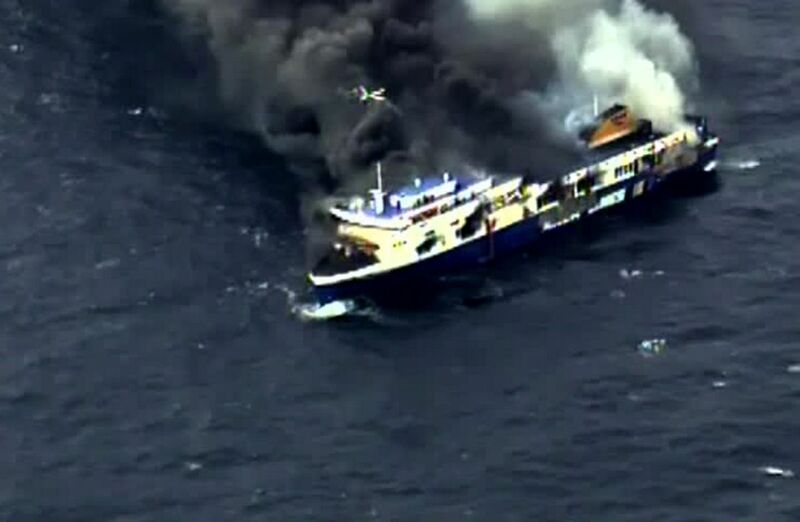 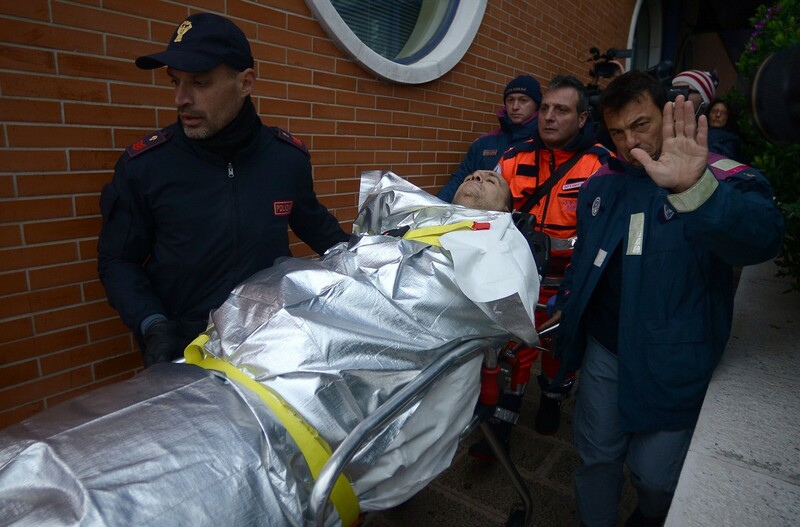 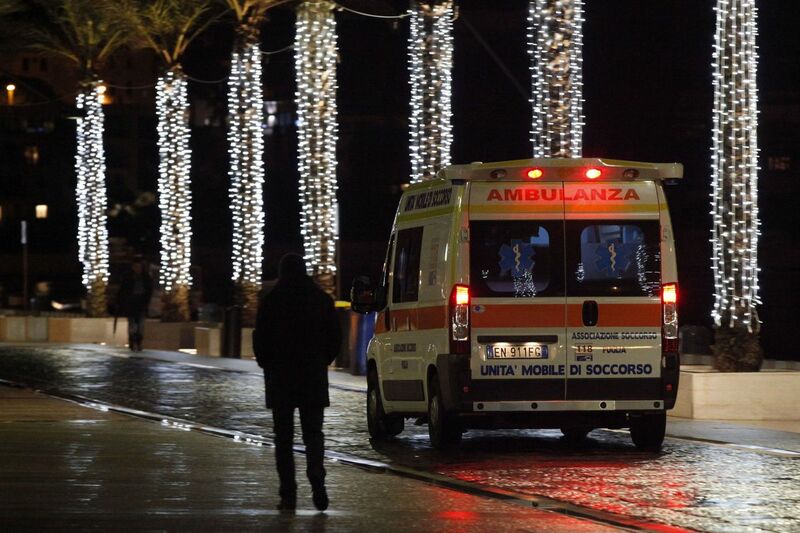 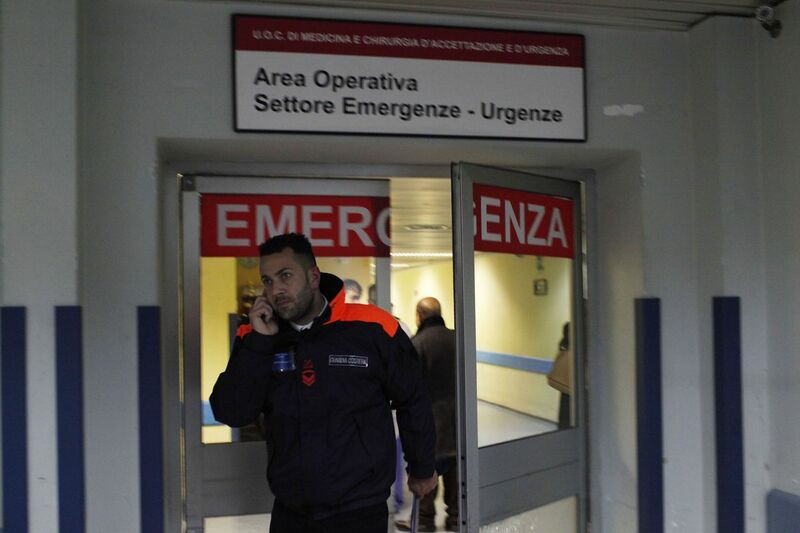 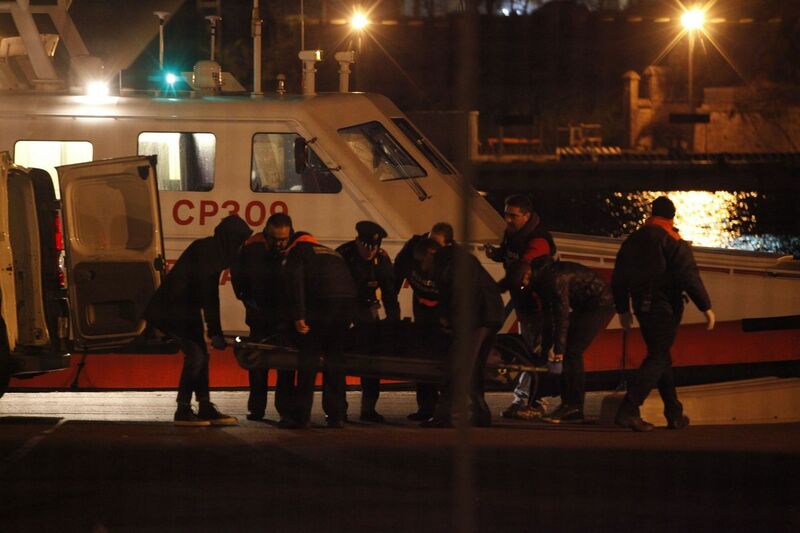 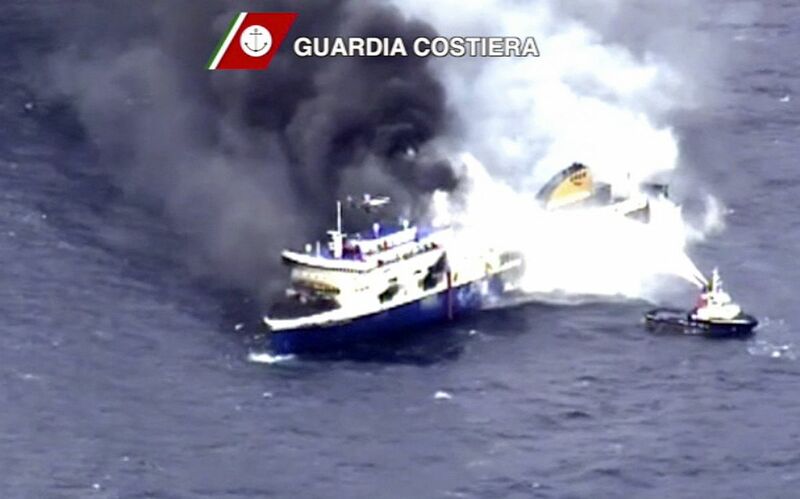 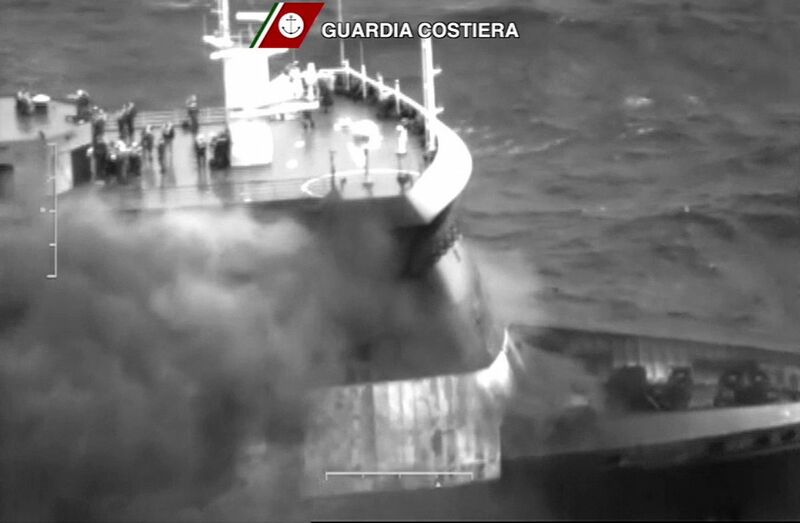 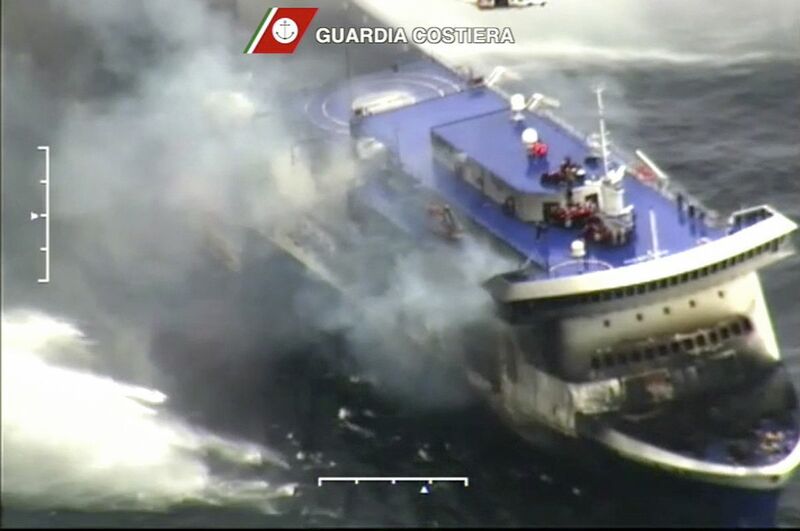 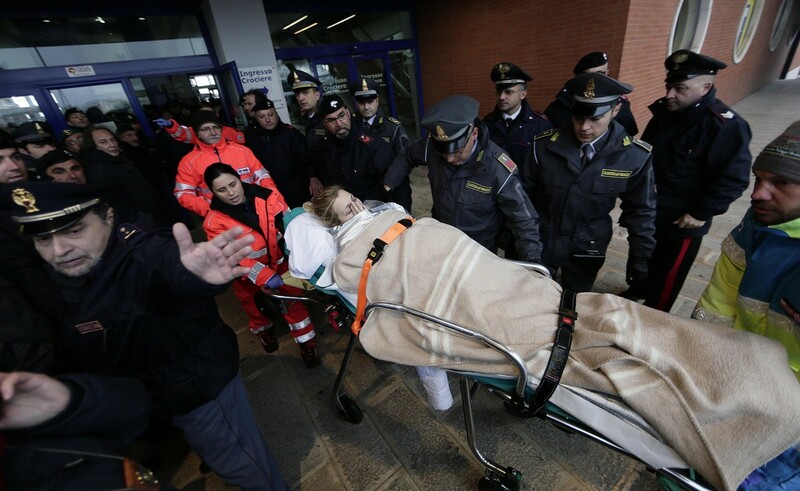 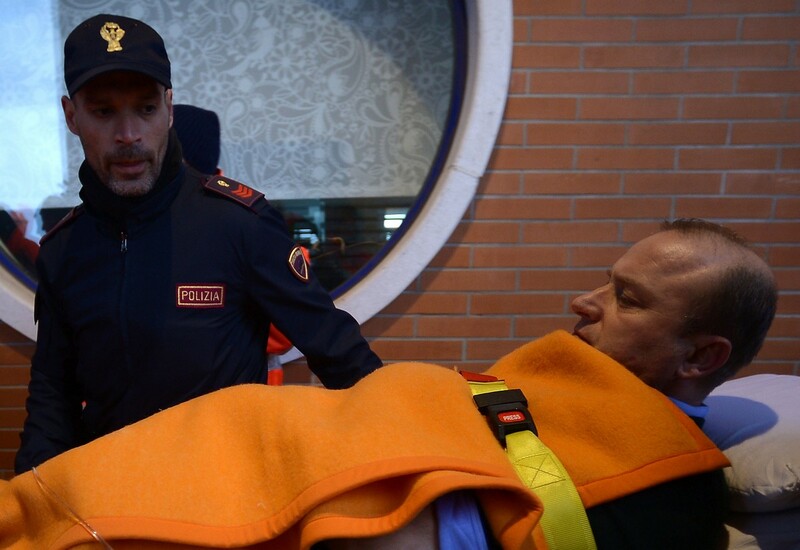 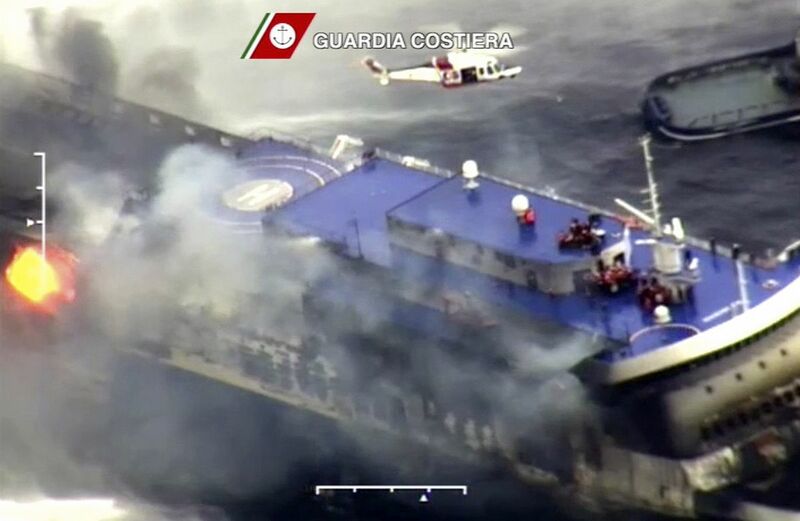 ROME - The death toll after a ferry caught fire in rough seas in the Adriatic rose to ten Monday with dozens of passengers still unaccounted for. 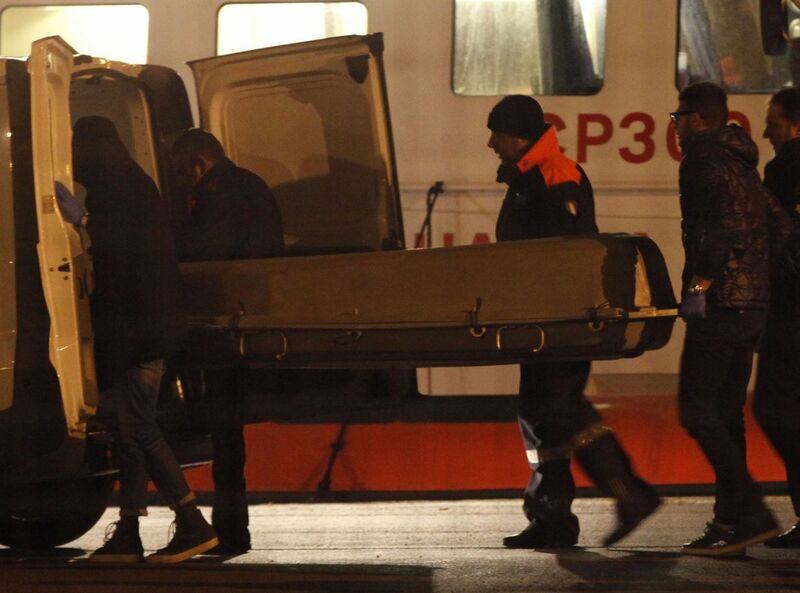 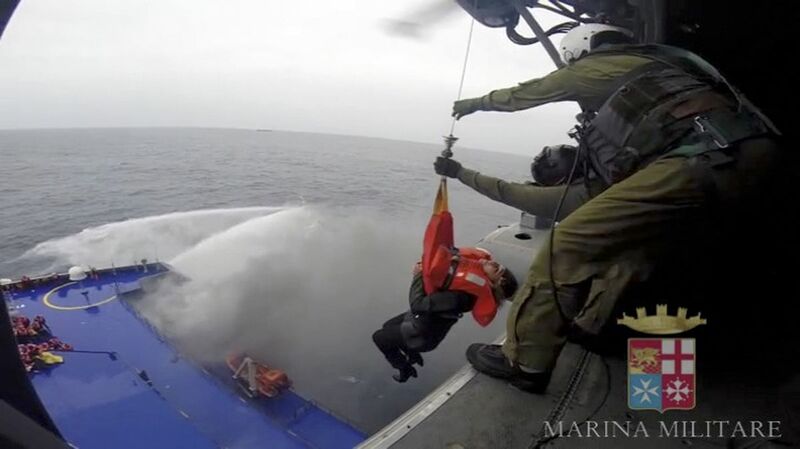 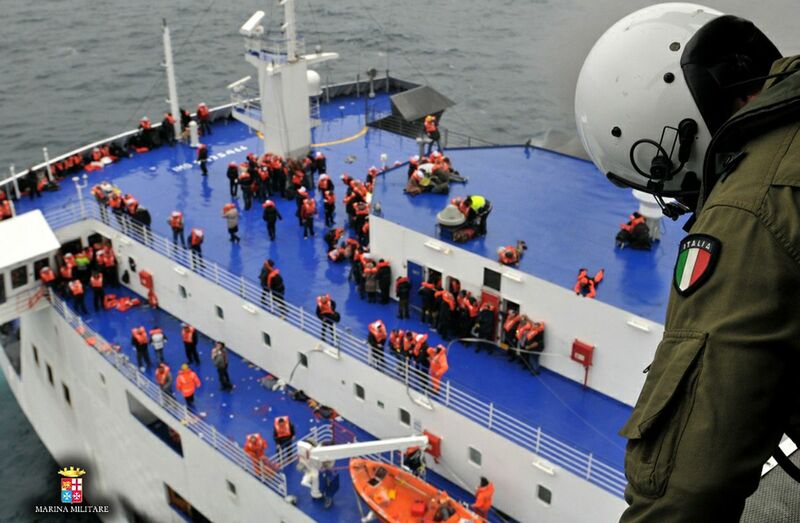 It was unclear whether the missing passengers had drowned or otherwise died unnoticed or whether the ill-fated Norman Atlantic's manifest lists were inaccurate. 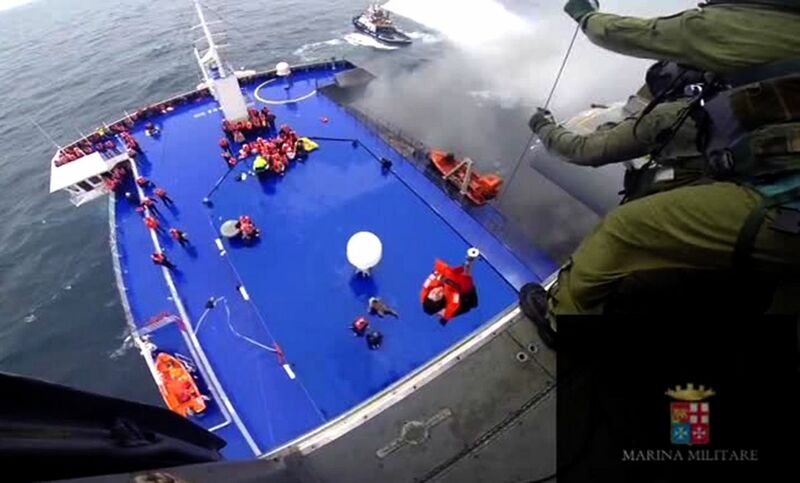 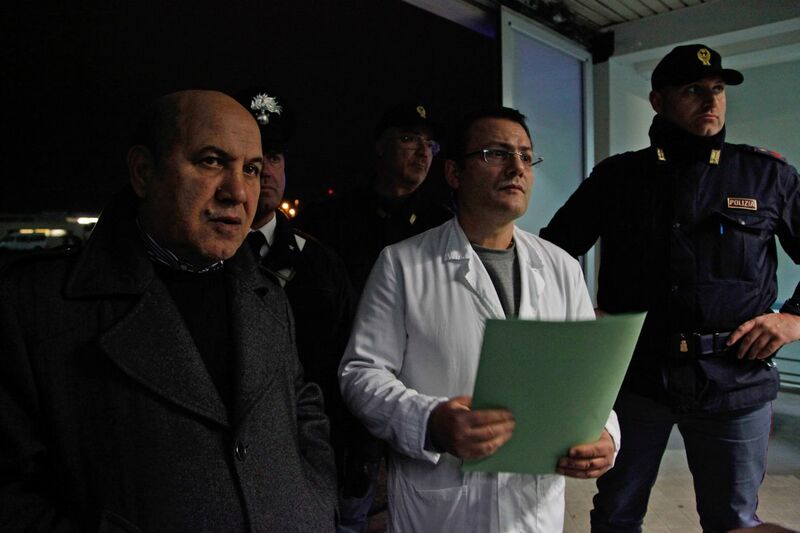 Pending resolution of the issue, the Italian navy was continuing to search for bodies around the stricken ferry, which remained in waters close to Albania hours after nightfall. 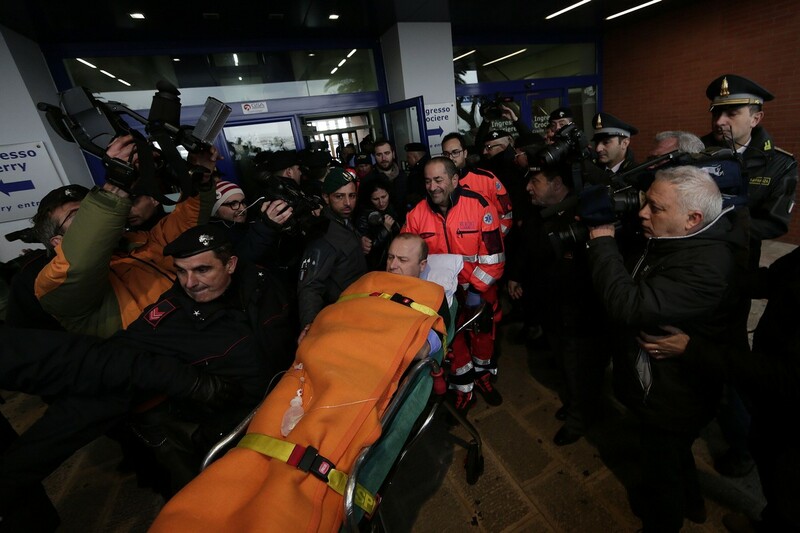 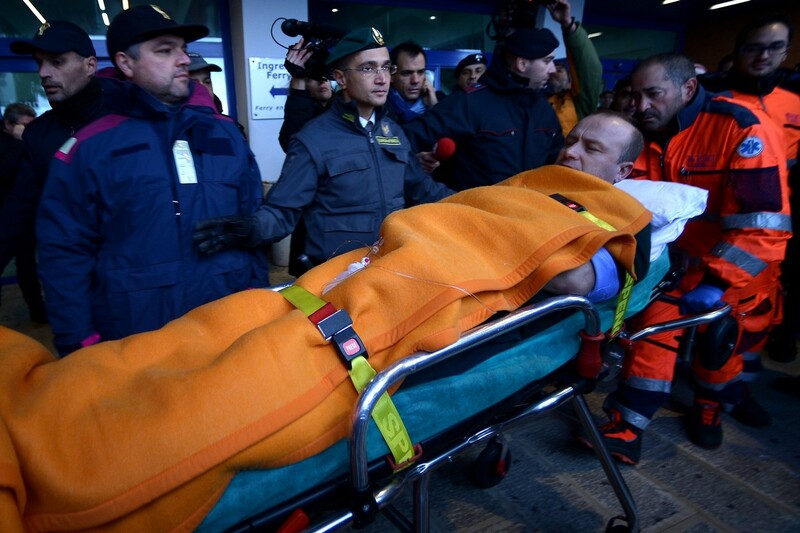 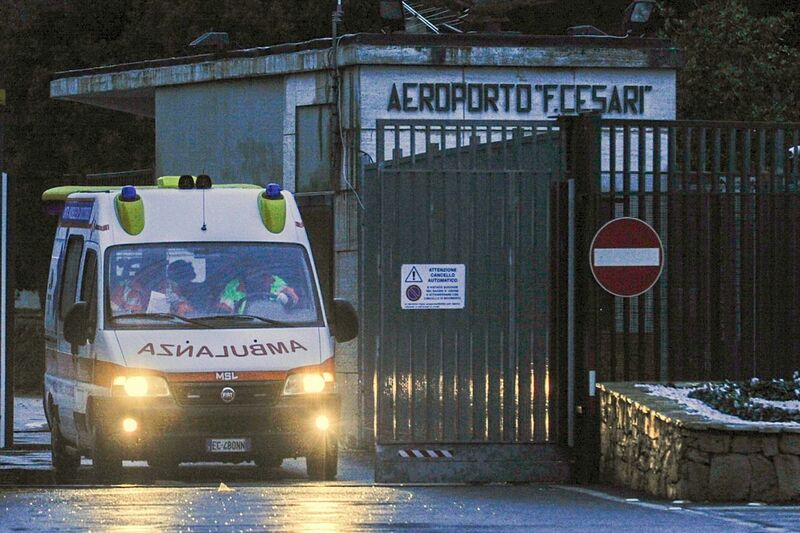 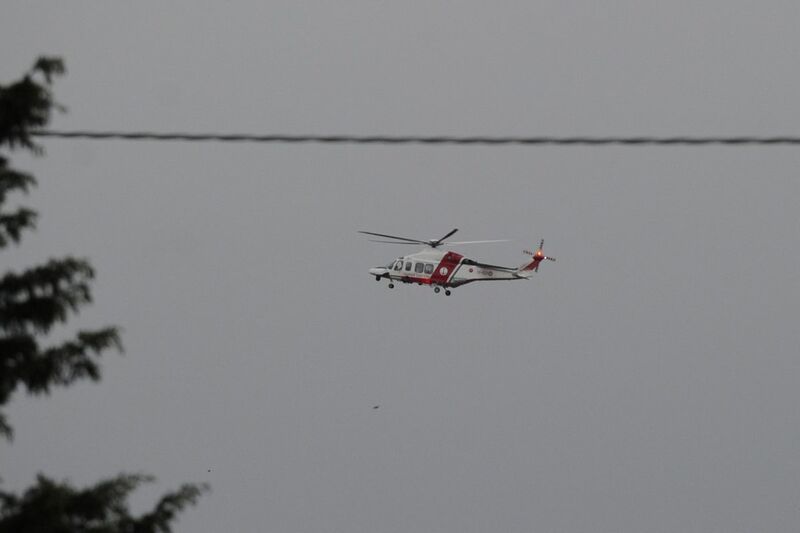 As survivors described a terrifying ordeal that could easily have claimed far more lives, Italian Transport Minister Maurizio Lupi confirmed that a total of 427 people had been winched to safety by helicopter over the course of a 24-hour rescue operation carried out in the teeth of an unusually fierce winter storm. 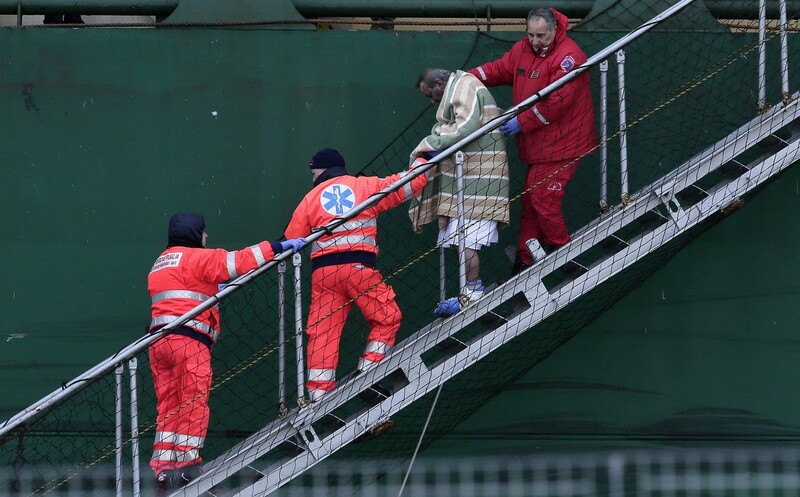 With the ten confirmed dead, that left 41 people unaccounted for in comparison to the list of passengers and crew released by the ferry's Greek operator on Sunday. 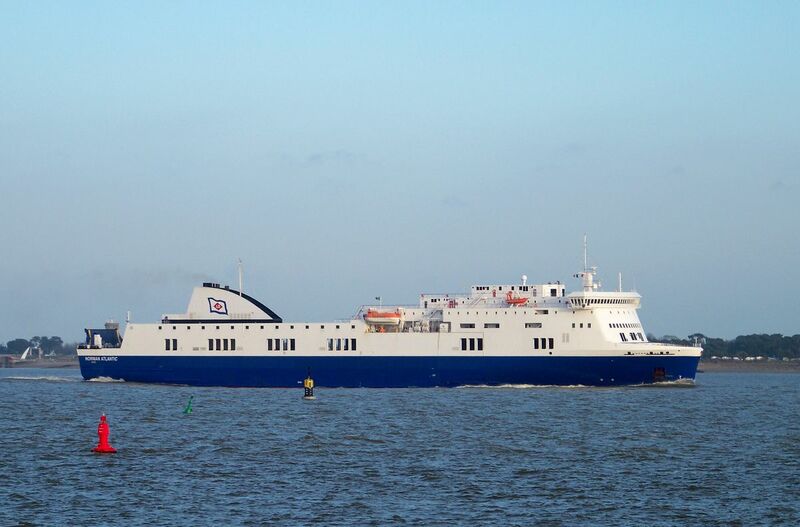 Lupi said it was unclear if the discrepancy was due to errors on the passenger list, no-shows at boarding or people getting off at a stopover on the Greek island of Igoumenitsa. 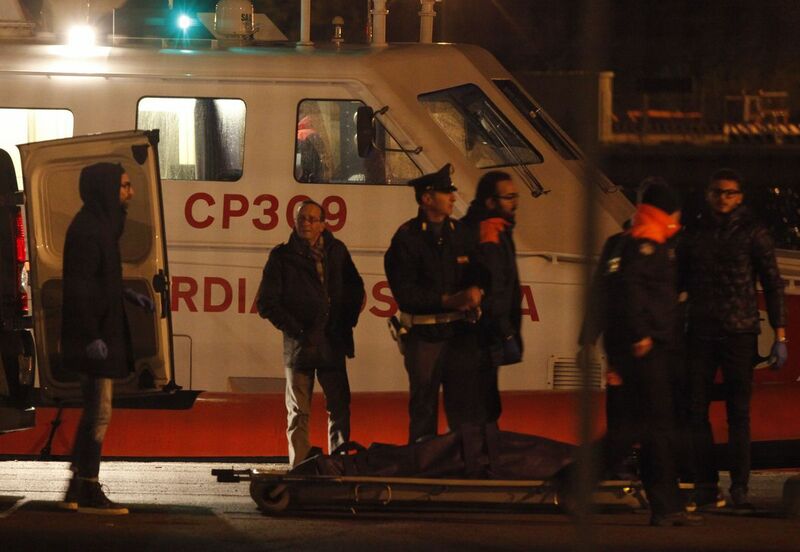 "That is why we are continuing our (search) effort: we cannot know what the exact number was." 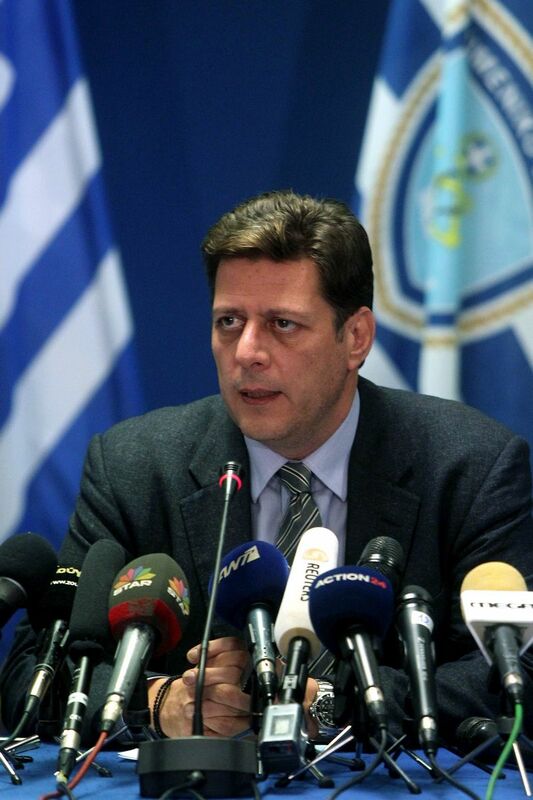 Greek Merchant Marine Minister Miltiadis Varvitsiotis acknowledged the list was "possibly inaccurate" and complained about poor communication with Italy. 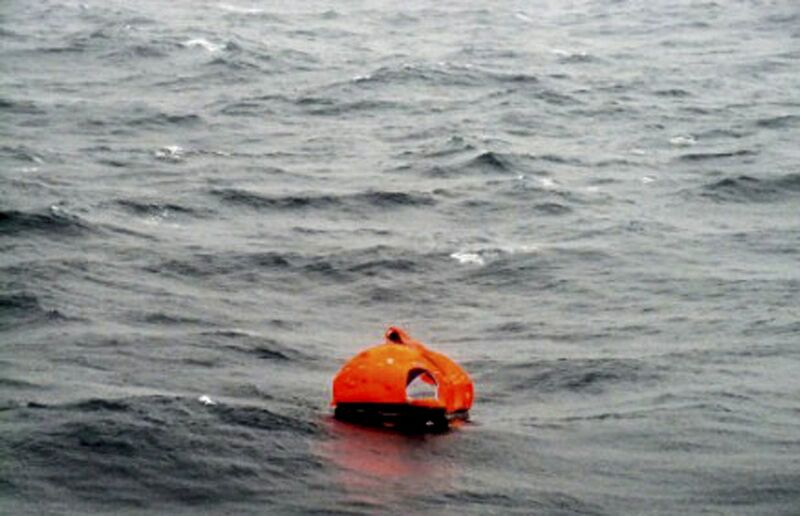 But there was a worrying indication of possible more bad news when an empty lifeboat washed up on the shores of Albania. 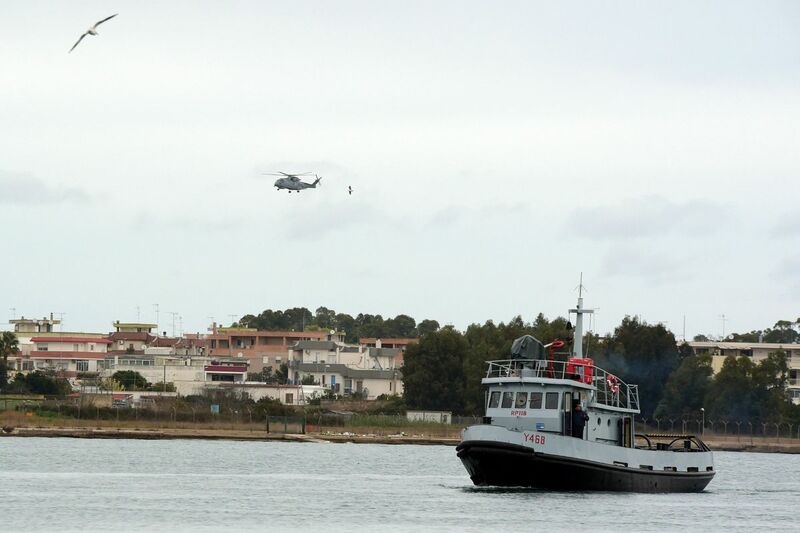 The uncertainty over the scale of the disaster emerged after the evacuation was completed in early afternoon. 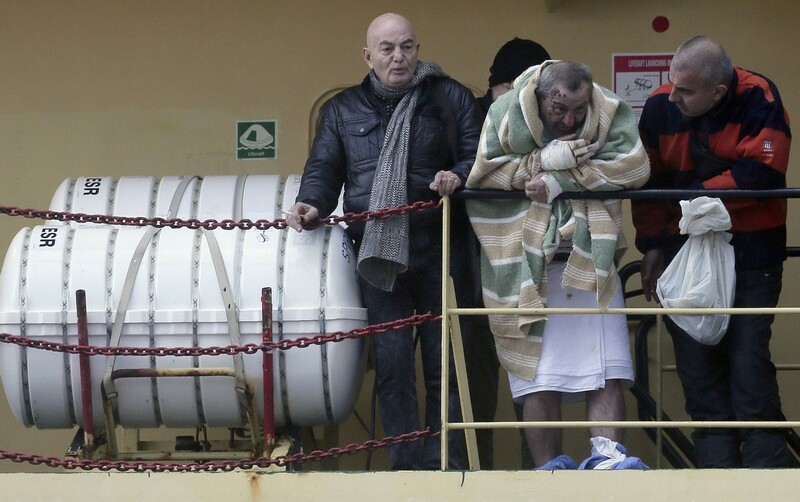 Ship captain Argilio Giacomazzi, 62, upheld maritime tradition by ensuring he was the last man off, handing over to Italian navy officers. 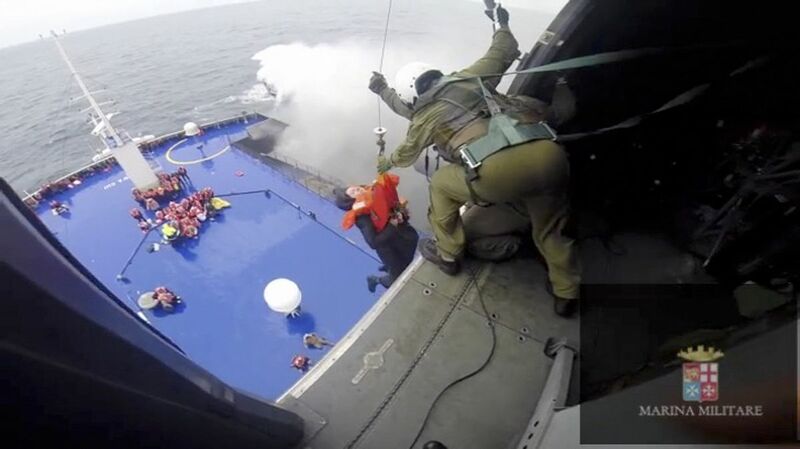 "The lifeboats did not work, there was only one of them in the water and none of the crew were there to help people," he said. 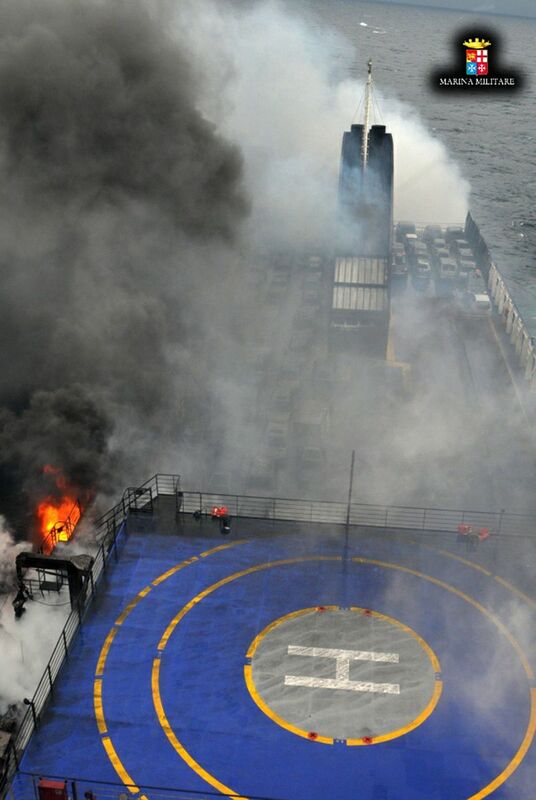 Questions are now being asked about how the fire started and why it was not contained. 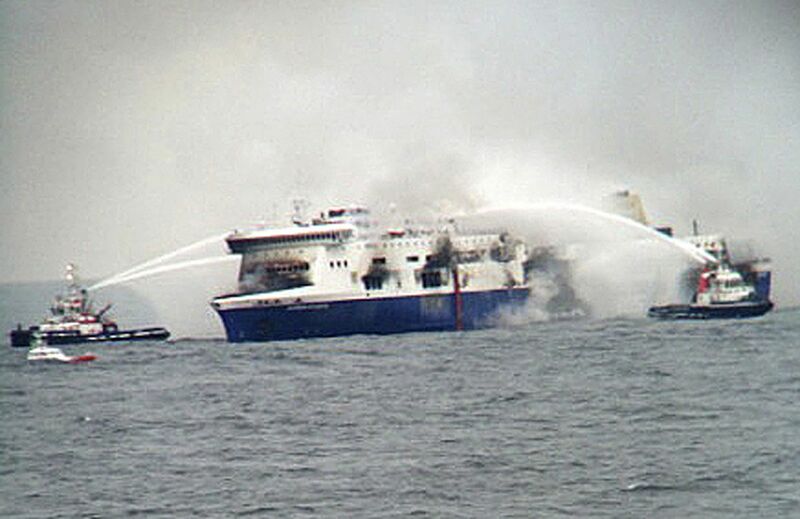 Different accounts of a safety inspection carried out on December 19 have emerged and several survivors reported the car deck as being covered by a film of leaked fuel. 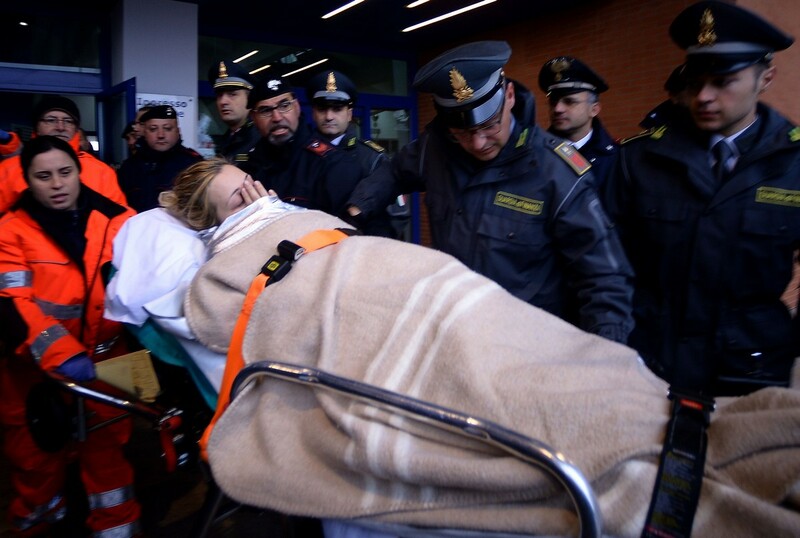 Teodora Douli, the wife of a Greek passenger who died on Sunday, described how she watched her husband Georgios drown in front of her after they ended up in the water. 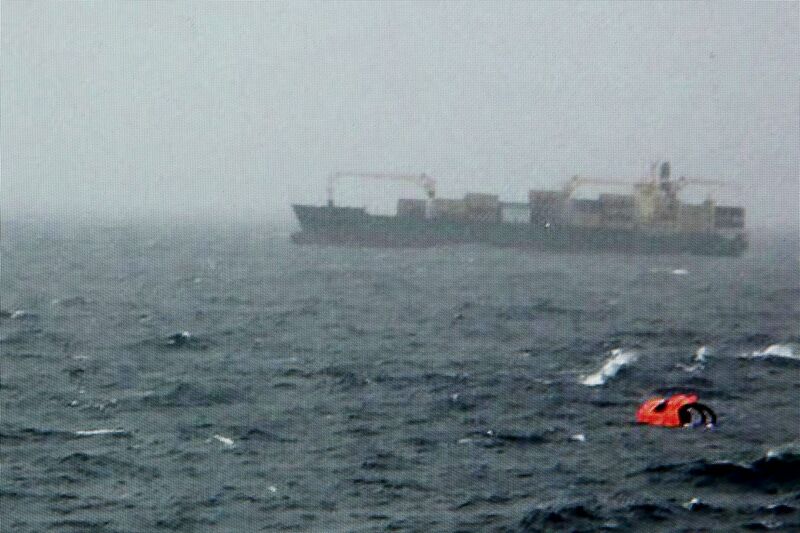 "We spent four hours in the water," she said Monday. 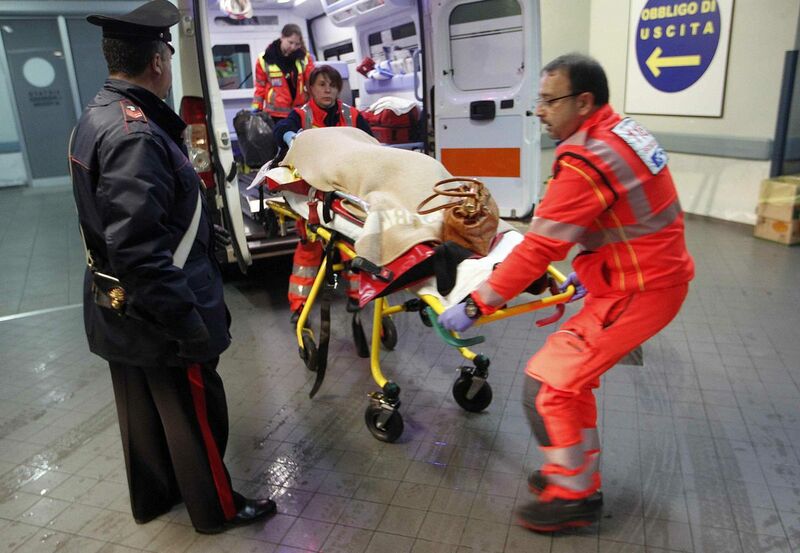 "I tried to save him but I couldn't. 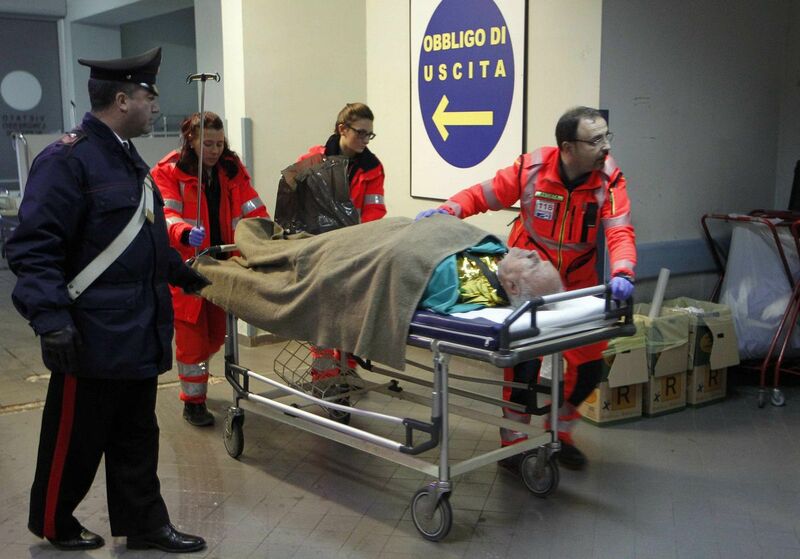 We are dying, we're dying, he told me. 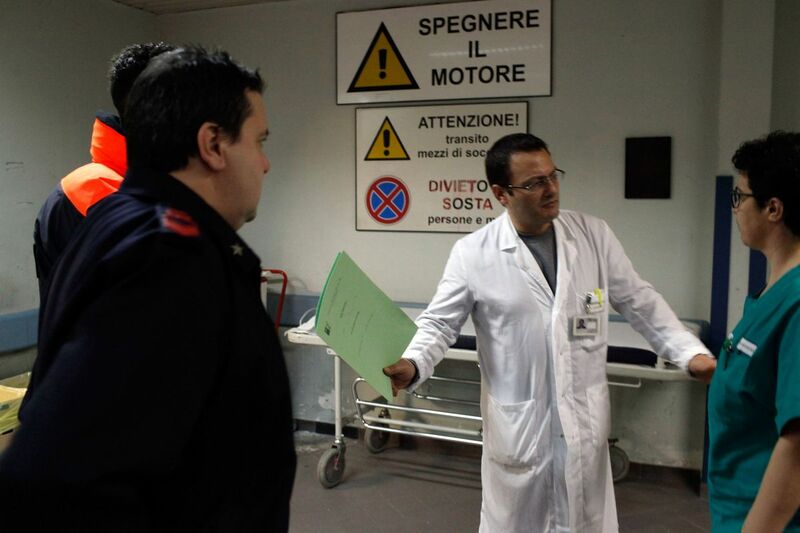 In a poignant twist to the tragedy, the couple's son was asked to identify a corpse that was not his father's following an apparent tagging mix-up.